Here is a video I found on Instagram of Googlers at Google standing in one of the lobbies playing Christmas carols for those entering and leaving the office. The video quality isn't that great but you can make out the various musical instruments being used. 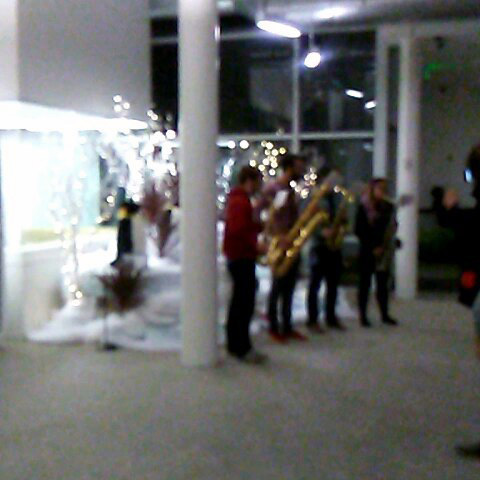 Cee-cee who posted this wrote "Carolers at Google."